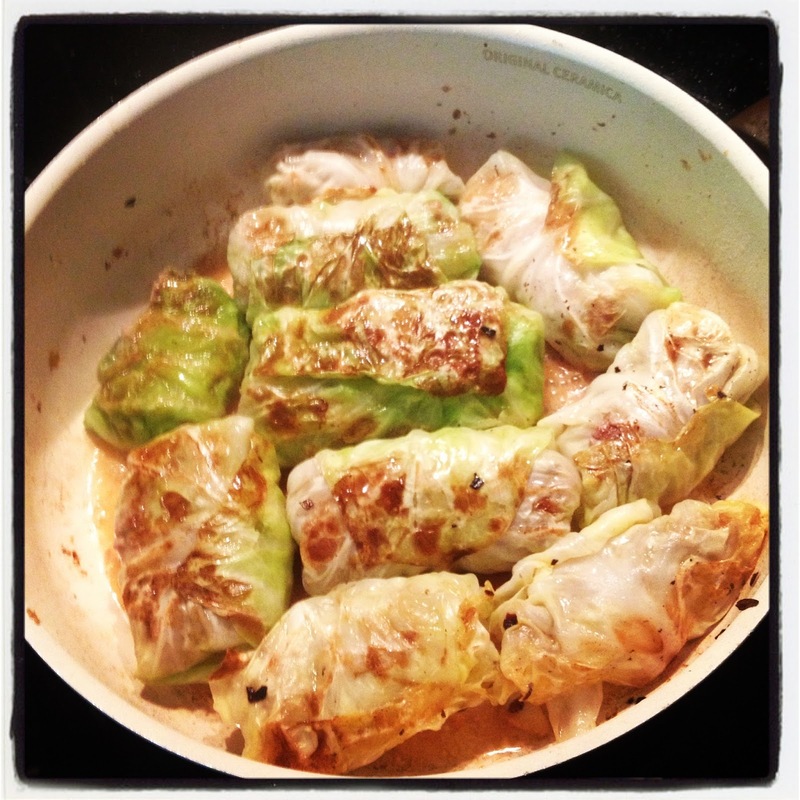 Today I’m going to share one of my favourite foods with you: cabbage rolls. I just finished making them an hour ago and there is only one left in the pan. That shows that they are not only a great LCHF meal but “regular” people love them just as much. Plus: it is really a cheap but healthy meal. 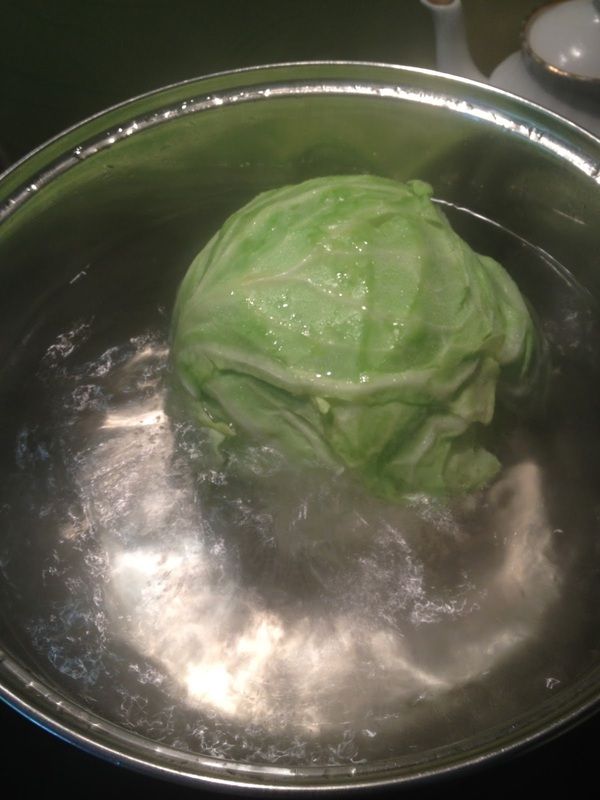 First put a large pot with enough water to cover your cabbage on the stove. The water needs to boil and don’t forget to salt it. Cut the onion into small pieces and fry in a dash of oil until golden. 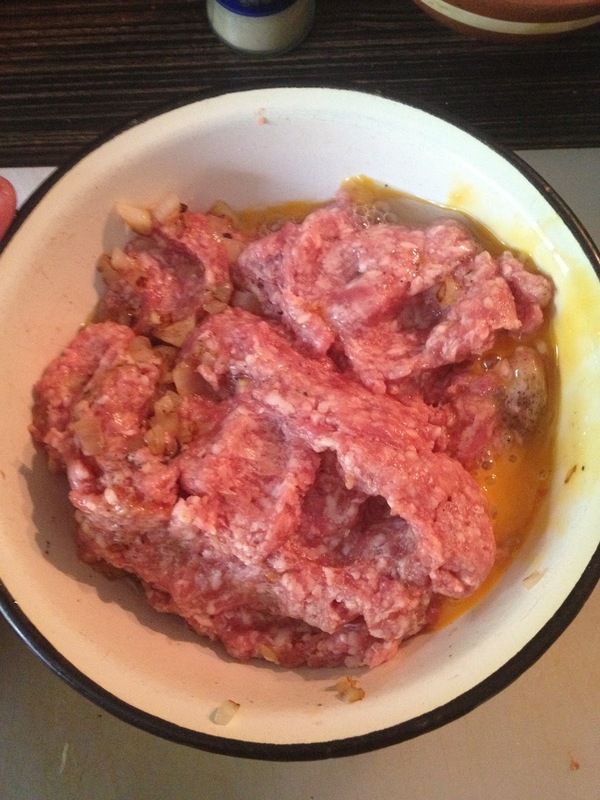 Add fried onions and egg to minced meat, add salt and pepper to your taste. Mix well (I usually use my hands). Now cut out the middle part of the cabbage. 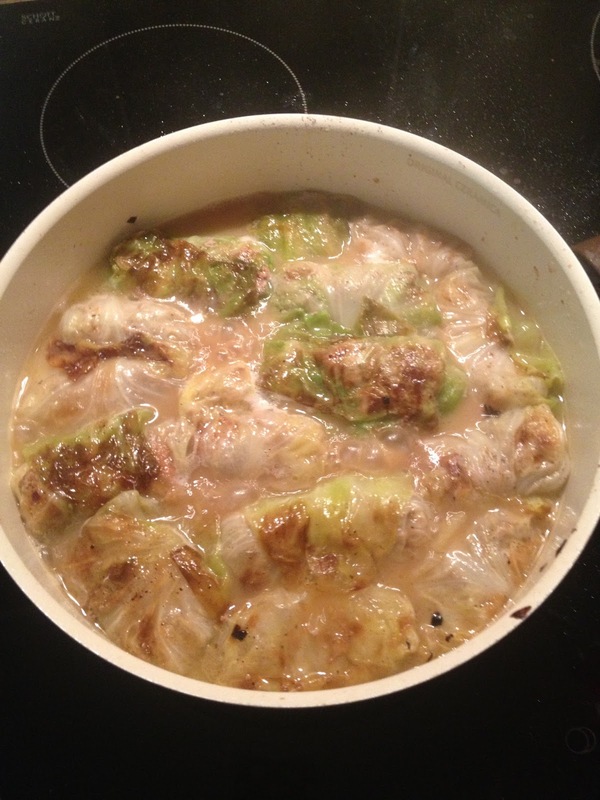 Then place the cabbage in boiling salted water for about 5–10 minutes. 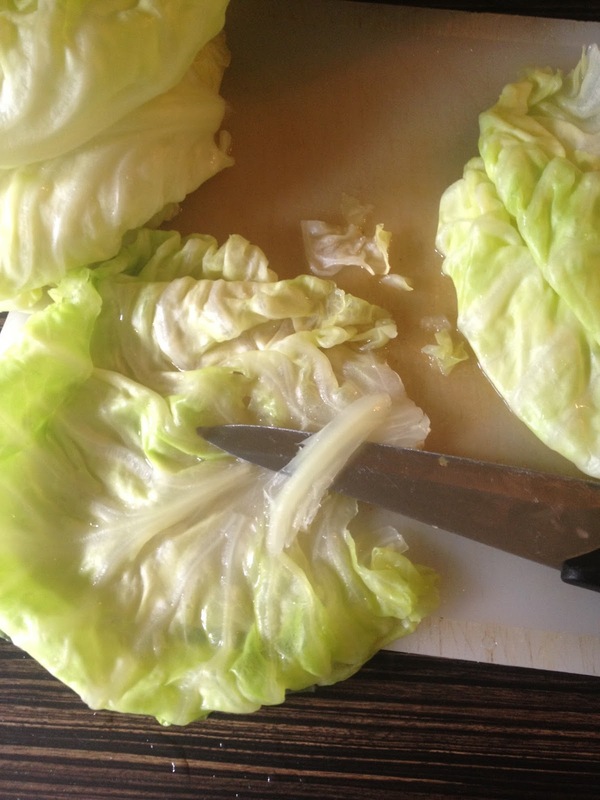 When you can easily peel off layers of the cabbage, then it’s done. Don’t over boil it. 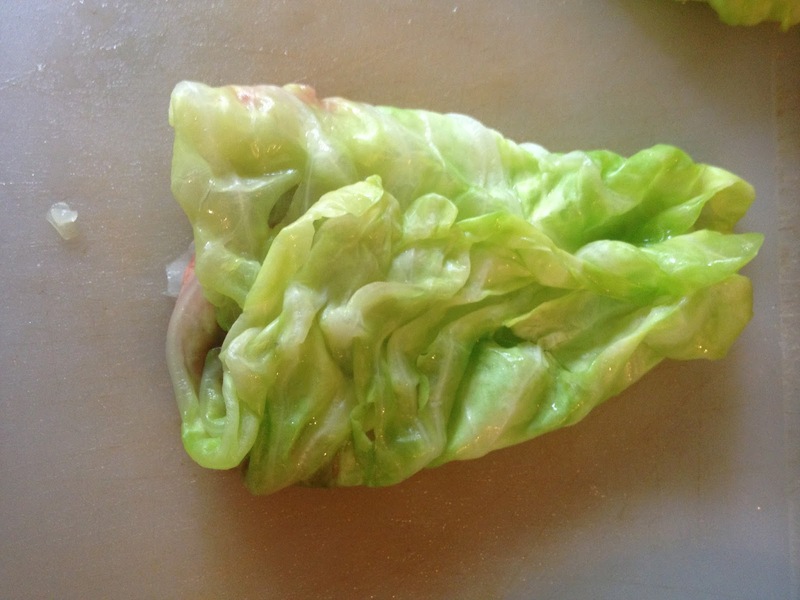 Take the cabbage out and peel off enough layers, maybe about 15 layers. 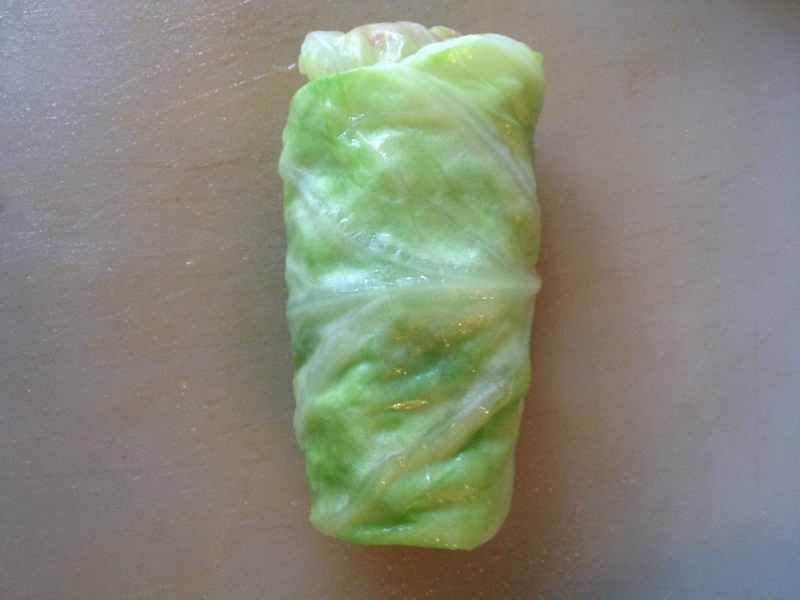 Your cabbage rolls will be different sizes because inner layers are much smaller naturally. Try to get as much water off the layers/leaves. Then cut the stem parts thinner. Now your cabbage is prepped. 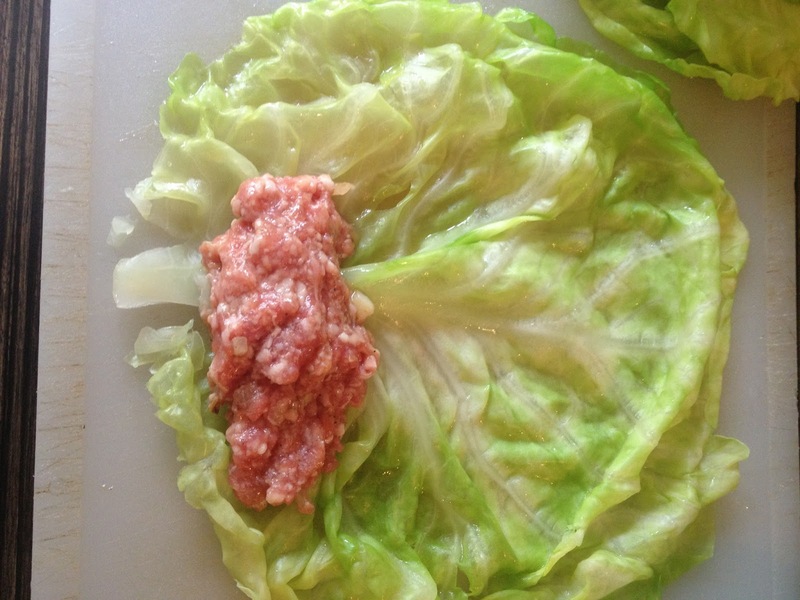 Add as much minced meat mixture in as you like, it also depends on the size of the cabbage leaf. 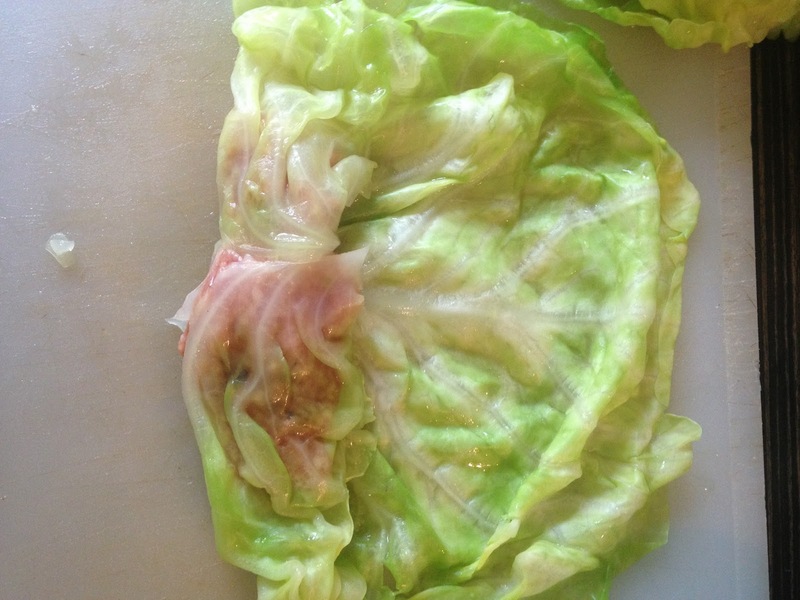 After placing meat mixture on the cabbage leaf, fold it over once. Then roll the leaf up. 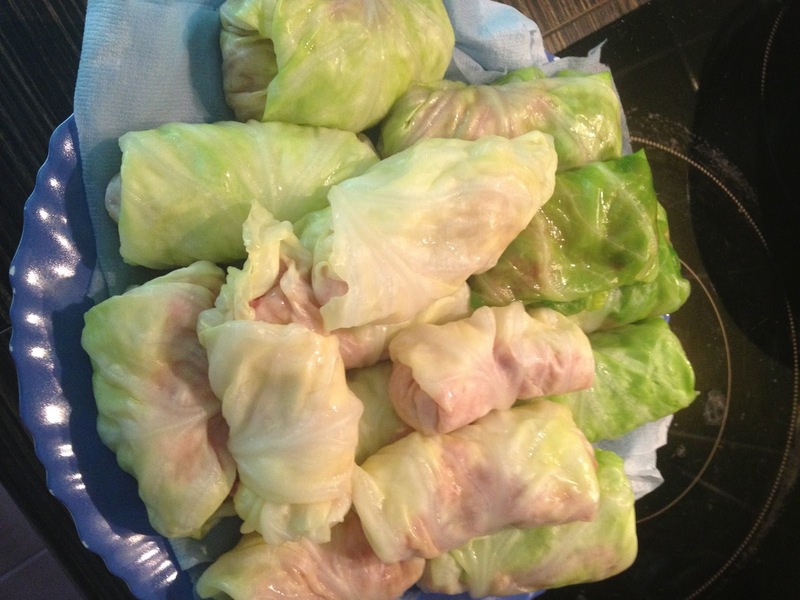 Your cabbage roll is ready to be cooked. I got quite a lot from my 500 grams of meat and one medium sized cabbage. Now heat up a pan to about medium high heat with some oil in it. 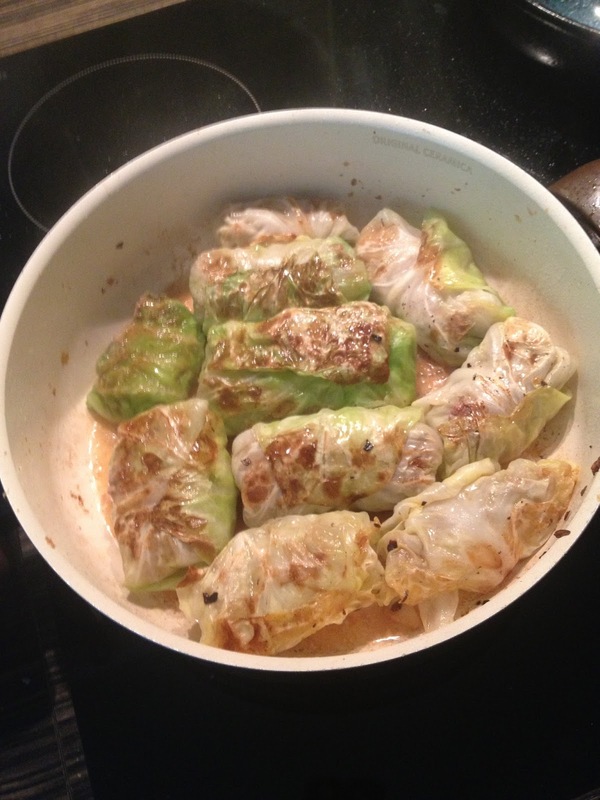 Place your cabbage rolls, turn when one side is golden brown. When the other side is also golden brown, add a little bit of water, butter, salt and pepper to make a sauce. Turn the heat to medium low and let them cook for about 20 minutes, depending on the size of the rolls and the amount of meat.